Starting tomorrow, Shark Week begins on the Discovery Channel. If you prefer spiders to sharks (which, of course you do, right?!) and facts to fearmongering, here at Spider Bytes and on twitter we’ll be celebrating #SpiderWeek! A brown recluse spider we found in Texas. Photo: Sean McCann. 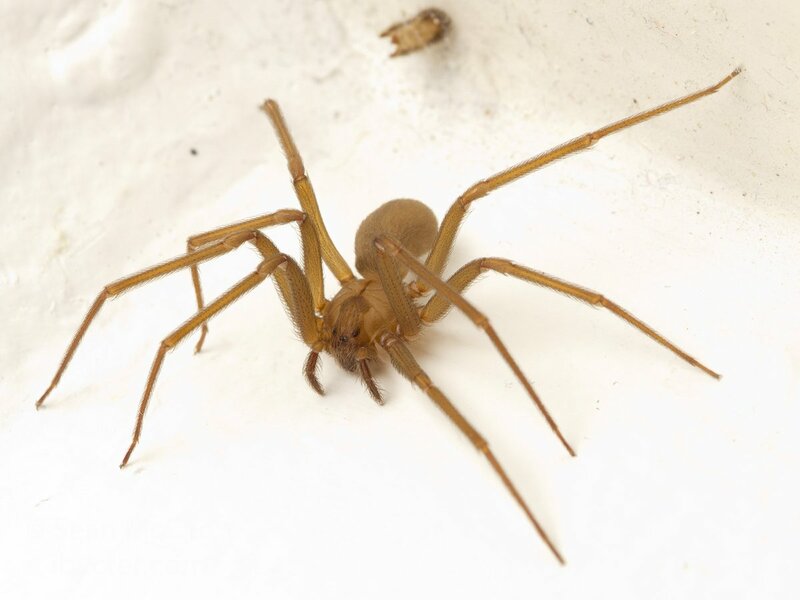 The top seven families will be featured in ascending order, starting with the 7th-most-often-mistaken-for-a-brown-recluse and ending with the number one most often misidentified spider-that-is-not-a-brown-recluse. Each day I will ask folks on twitter to guess which spider is coming next (points will be awarded!) and then I will post a blog entry about the day’s spider family. I’m not sure yet what they will be, but prizes will be awarded at the end of the week. Follow along here and on twitter, and be sure to ask questions and to contribute your own facts, photos, and suggestions through either medium! The goal is to celebrate spiders and learn something about their biology and how to identify them. Get ready for some serious spider-related fun and facts, and have a fantastic Spider Week! This entry was posted in Spider Week by cataranea. Bookmark the permalink.